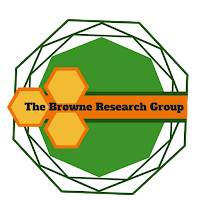 Welcome to Joey Howard who becomes the first Browne Research Group member. Joey joins from Cambridge as an MPhil. student. Good Luck Joey! Note added following the Christmas Party 2015 - Joey has a photographic knowledge of the UK's motorway network!